Kenda Thorn Resistant tubes are extra tough with 3.5mmm of butyl on the tread side of the tube and 1mm thickness on the top side. The extra butyl reduces punctures from thorns and glass. 26 Inch (559 ISO) size fits most mountain bike tires. Available in 26 x 1.9/2.125 Inch (559 ISO). Schrader valve. Note: We received some of these tubes in boxes labeled 26 x 1.5/1.75. This is a mislabeling, the tube inside is actually 26 x 1.9/2.125. What a great buy! I havent had a flat since putting this tube on my emountain bike! I use these on my hardtail 26 MTB in the Rio Grande Valley (New Mexico), land of the goathead, aka puncture-vine. A regular tube might last ten miles between flats, and it always happens at a bad time and a bad place. So I got these Kenda TR tubes and put 'em in. Hey, no more flats!! Seriously, these things have gone about 600 miles with no punctures. The tires get stuck with goatheads, but never penetrate the tube. I periodically dismount the tires and pluck out the thorns with needle-nose pliers. Only disadvantages are they're heavy, if you prefer light wheels, and they're kind of hard to mount, stuffing all that rubber in. Like Chris from Phoenix, I too experienced separation of the valve from the tube. Mine were purchased for a large garden cart in September of 2015. After a couple of months, with very little use, one tube went bad. A year later, the other is still holding. Using these on mountain bike with street tires and have had no flats. Normally get lots of flats from goat head thorns but with the thicker outer tube the thorns do not penetrate the tube. Would highly recommend these tubes. Love these tubes, they live up to their name! After experiencing 3 flat tires in two weeks due to nasty thorns on my new daily bike route, I replaced my ordinary tubes with these Kendall thorn resistant tubes. Staying on my same route, I haven't had any more flats in the six weeks since! Yay! They were really no more difficult for me to install than the light-weight tubes. I have not really proven if this tube is indeed thorn resistant...against Goat's Head. I have not had a flat tire yet ever since I bought this tube...I still need to know if this tube can withstand that evil GOAT'S HEAD thorn...if you folks are familiar with this thorn from a grass looking weed...We were out camping for 3 days and we have a total of 8 flats...that was a very disappointing experience. Very easy installation with no problems noted, holds pressure well (running 80 psi nitrogen). Good value for casual around town rides. I purchased these tubes with good tires, a great combo, I rebuilt my old mountain bike, a tried and trusted early Giant Attraction this made it a warrior bike....bar none!!!! We used to have a chronic problem with flat tires until we started using these tubes and tire liners. No more flats! 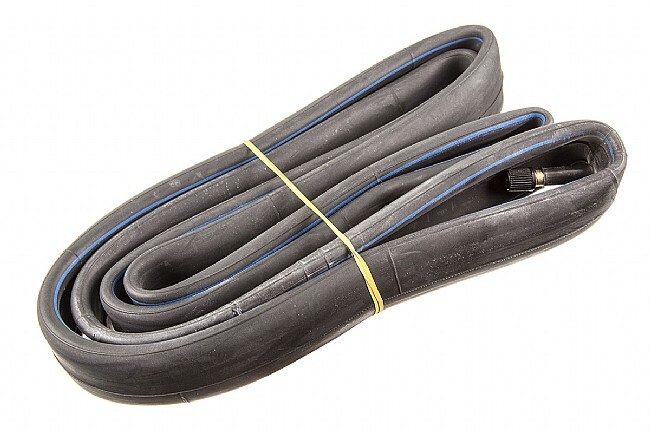 If you don't like constant tire replacement, I highly recommend you use these innertubes. Aside from thorn resistant, these inner tubes are great for high heat resistance as well, not as likely to pop in a storage shed or shipping. I wouldn't use a regular tube in any bicycle I've ever owned, I've always used thorn resistant tubes and always have high success with them. Rugged tube, no slippage on the rim & stay in place. Thinner tubes tend to move around & bend the fill valve sometimes causing flats. I have not had any flats since switching to these puncture-resistant tubes. I highly recommend this product to anyone experiencing frequent flats. 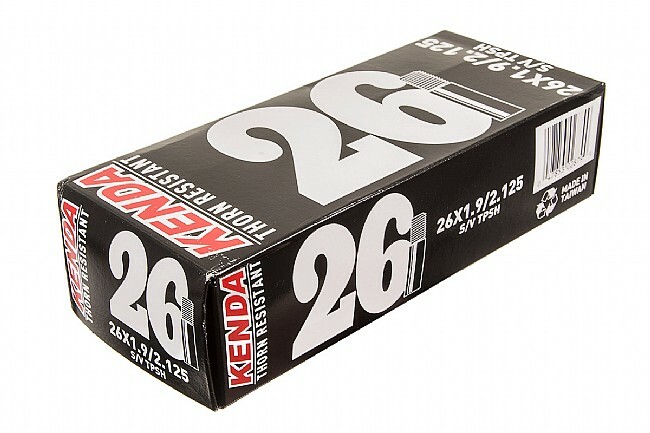 Kenda also offers a puncture-resistant tire. The combo virtually eliminates flat tire inconveniences.